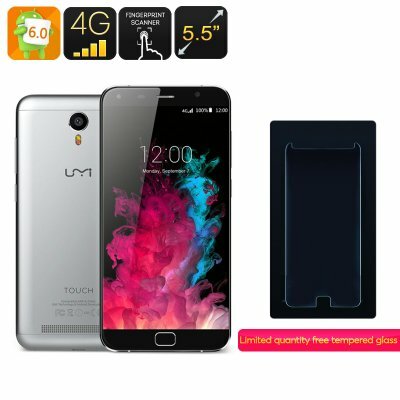 Successfully Added UMi Touch Smartphone - Android 6.0, 3GB RAM, Octa Core CPU, Dual SIM 4G, 13MP Sony Camera, Smart Wake, Gesture Sensing (Grey) to your Shopping Cart. The New flagship phone from UMi has all the a lot to offer for its modest price tag and with Android 6 Marshmallow, an Octa Core CPU, 3GB RAM and its sleek full HD 1080P 2.5D curved display this full metal unibody phone looks and performs amazingly. The front facing fingerprint scanner works very reliably and has a fast response time allowing you to make use of biometric security so only you and those you trust can gain access to the device. Now you can unlock your phone in the blink of an eye with just a single touch. Dual standby Dual SIM card slots allows the use of two SIMs simultaneously so you can efficiently organize work and private life on this one cell phone without any hassles. With 4G connectivity you get superior connections and can stream movies direct to the phone. It's taken a while for Android 6 to find its way onto Chinese smartphones but the UMi Touch was certainly worth the wait. This device performs like a champ and with Android 6 preinstalled you can enjoy better shortcuts and a more streamlined UI right out of the box. Packing in an Octa Core MTK6753 SoC clocked at 1.5Ghz, 3GB of RAM and Mali T720 GPU the Touch has a powerful setup that can handle all your gaming, movie playing and multitasking needs without any lag. That full HD 1080P 5.5 inch screen brings stunning viewing with a it 400 PPI pixel density which covered by 2.5D curved glass for a superior finish. 16GB of internal storage should be sufficient for most users however for those who want extra room they micro SD card slot brings support for an extra 128GB of space. This may come in hand for those that want to make a lot of use of the rear facing 13MP Sony camera that can record movies in 1080P as well as snap some stunning shots. A 4000mAh battery brings plenty of usage time with UMI reporting up to 24 hours usage time when surfing the web with 4G, as much as 60 hours talk time with 2G or a whole 15 days in standby from a full charge. even with the large battery the phone still manages to remain slim and easy enough to operate in one hand. 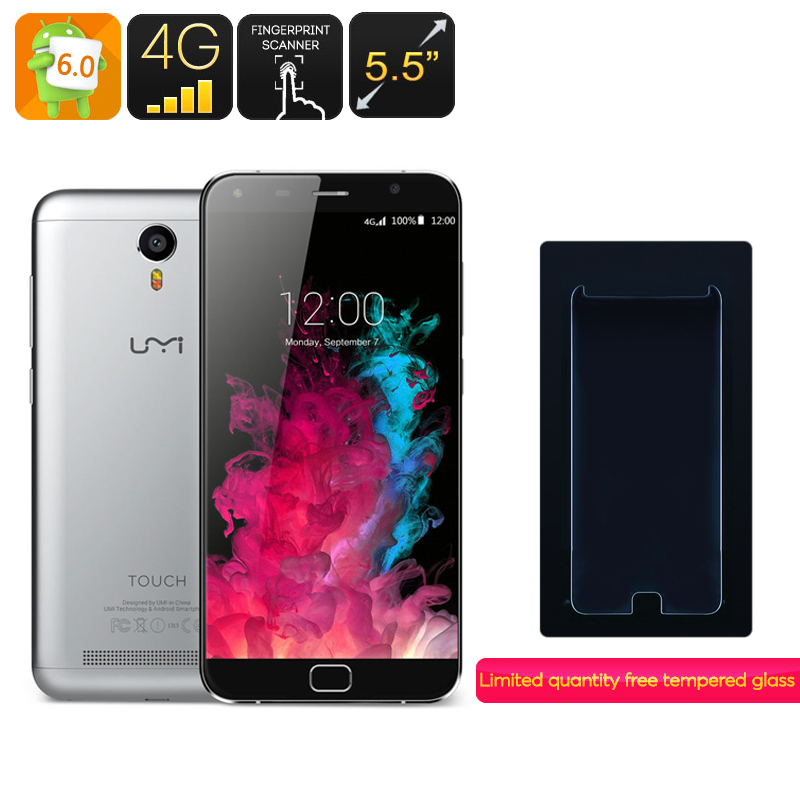 The UMi Touch 5.5 inch Smartphone comes with a 12 months warranty, brought to you by the leader in electronic devices as well as wholesale Android Phones.. The smartphone is arrived one day earlyer than of schedule, very nice and professional seller. Thank you very much.